With the Label Tape Shrink series, Irplast proposes Bopp heat-shrinkable roll-fed labels in (pre-glued or standard) for the dairy sector. 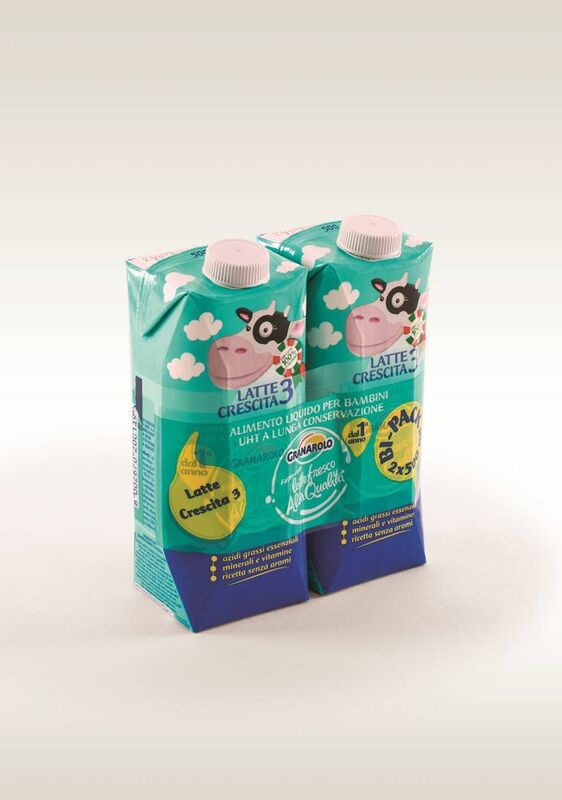 This solution is the sustainable alternative to PET-G Shrink Sleeves used for customising shaped containers in tin-plate or aluminium (as for instance condensed milk Friesland Campina). A Bopp band for multi-packs (in the picture), is suitable for bundling up to 6 units at a time. Used for multipack packages, they allow to increase exposure of the brand and convey promotions. Tamper Evident is an ecologically sustainable anti-tampering adhesive tape; this special bi-oriented polypropylene film is printable and customisable. Food Contact Tape is an adhesive tape working also as a label, suitable for contact with all kinds of food. Made of bi-oriented polypropylene film, this tape enables grouping together more products and is printed in a BRC certified plant. It meets the new regulations on the limits of migration of substances from packaging to food, without leaving residues after removal. It can also be applied by automatic machines and it provides 96% savings on the Conai Eco-tax.